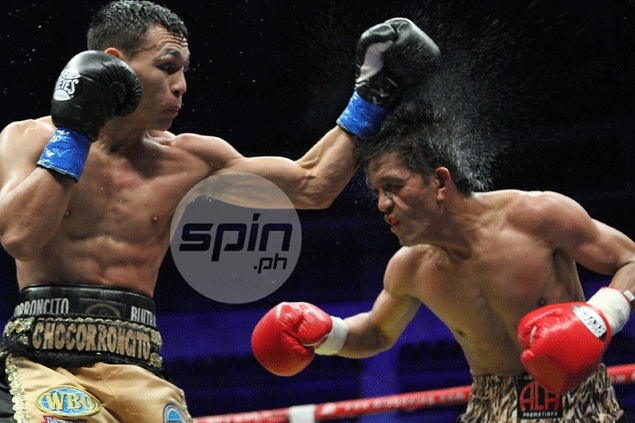 MERLITO Sabillo expects Carlos Buitrago to ask for a rematch in light of the controversial ending of their 12-round title fight Saturday night for the World Boxing Organization (WBO) minimumweight crown. Sabillo salvaged a split draw in retaining his 105-lbs crown after struggling against the young challenger from Nicaragua and coming close to going down in the ninth round. One of the judges (Joerg Milke) had Sabillo winning by a score of 115-113, the other (Levi Martinez) saw it for Buitrago, 115-113, while the third one (Takeshi Shimakawa) had it a draw at 114-114. The Nicaraguan camp was naturally surprised with the decision and was quick to declare a rematch should be in order. ALA Promotions vice-president Dennis Canete said that was expected from the Buitrago party given the uncertain outcome of the match that served as the co-main event of the boxing series `Pinoy Pride (XXIII) at the Smart-Araneta Coliseum. “It’s a normal reaction especially since they appeared not convinced with the way judges scored the bout,” said Canete the morning after the fight. According to the ALA Promotions executive, Sabillo and Buitrago are going to fight a different set of opponents first before the rematch can be arranged. “But the scenario remains the same, with Sabillo still the champion and Buitrago retaining his rank as the WBO No. 1 challenger,” Canete added. Sabillo sported slight marks just below both eyes at the end of the bout that saw his knees buckle after a 1-2 Buitrago combination in the ninth round. Canete admitted the champion was in danger of being knocked down during that stretch and was tested to the limit by his younger, unbeaten opponent. “But that’s boxing,” said the ALA Promotions official.